Angry Birds Seasons Day 4 – Post Your High Scores! 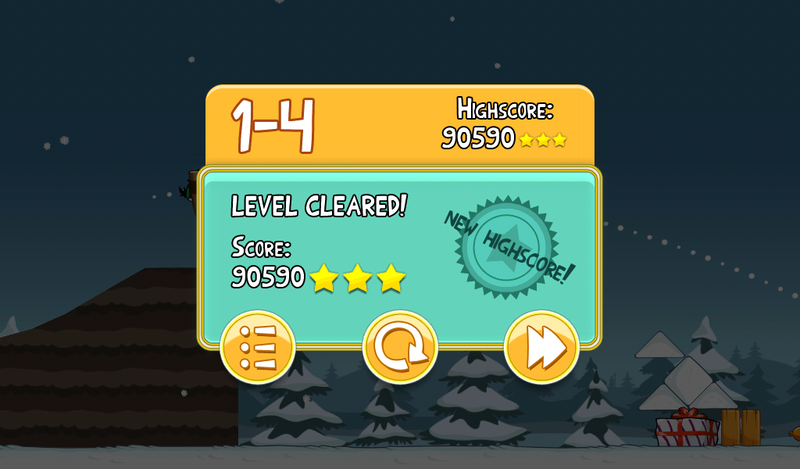 Angry Birds Seasons day 4 is here! Who’s got scores for us? It took me a few tries to finally get 3 stars and put up a decent number which I’m sure you will all crush in seconds. What you got? Post them up in the comments!